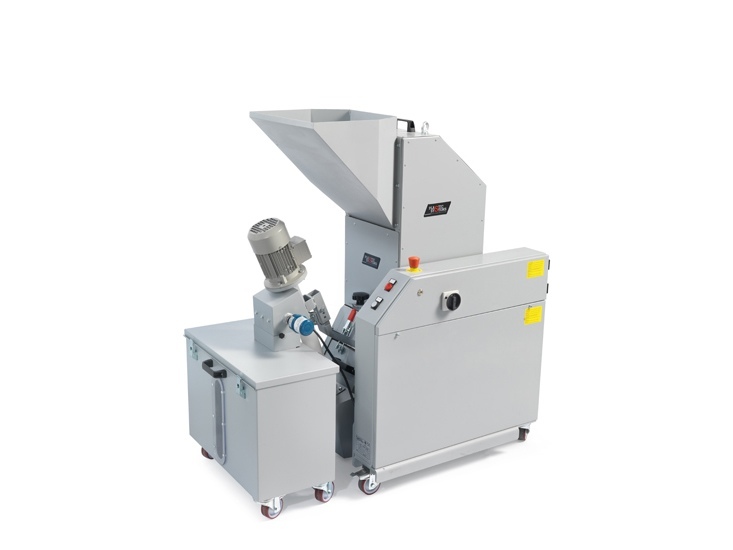 The new low-speed granulators of the G series are the ideal application for injection and blow molding. Three models available with a rotor diameter of 200 mm and blades with lengths of 150-300-450 mm. A sound-insulated hopper and the use of adequate protections allow a safe use. 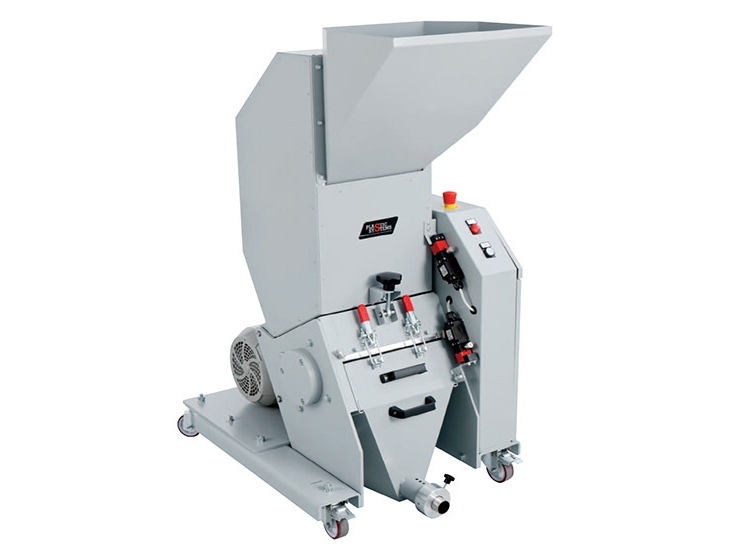 • The regrind material is extracted by means of a pneumatic feeder or an extraction screw with collection tank. 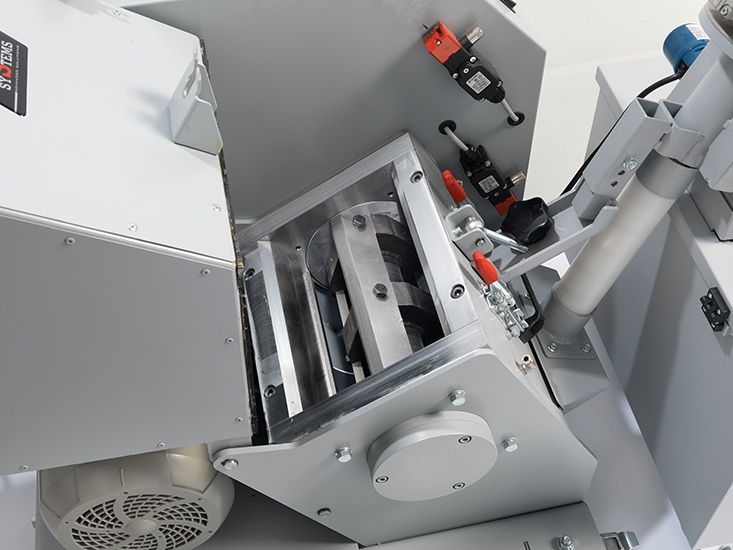 Access to the cutting chamber with no tools and a self-dumping hopper with a damped system allows cleaning the granulators in few minutes.